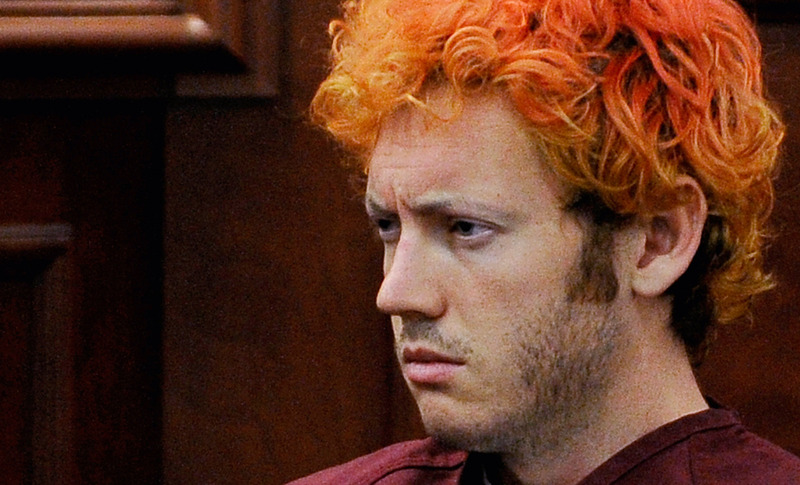 A week into the trial of Aurora shooter James Holmes, prosecutors are trying to prove that, though clearly troubled, he was mentally sound when he opened fire on the movie theater on July 20, 2012. The following year, Holmes pleaded not guilty by reason of insanity. On Monday, prosecutors tried to refute the insanity plea by playing footage of Holmes' interrogation with police two hours after the shooting. In the video, Holmes asks whether any children were hurt, which the prosecution says suggests he was sane at the time of his crime. The footage, which has never been seen by the public prior to Monday, reveals Holmes slouched and acting disoriented during his interrogation, which began at 2:44 a.m. the night of the shooting. Holmes can be seen answering questions in an odd but still clear manner. After Holmes requests some water, Detective Chuck Mehl asks him to give his name. Holmes: "I already gave my name." Mehl: "OK, I haven't talked to anybody who has your name. Could you just tell us what your name is?" Mehl: "James. OK. James what?" Mehl: "How do you spell that, please?" The most revealing part, however, was when Holmes voluntarily brings up some signs he had seen while walking to the interrogation room, for the Crimes Against Children and Victim Services units. That's when he asks, "There weren't any children hurt, were there?" Holmes had in fact killed a 6-year-old girl, Veronica Moser-Sullivan, whose name was brought up during harrowing testimonies last week. Moser-Sullivan's babysitter described to the jury frantically calling for help as the little girl laid unresponsive and her mother sat beside them with a bullet wound in her neck. The first week of the trial focused mainly on the victims, survivors, and first responders who described the terrifying scene inside the Century Aurora 16 movie theater. Other survivors who testified were Katie Medley, who was nine months pregnant at the time of the shooting, and her husband, Caleb Medley, who was shot in the face and is now wheelchair-bound and mentally impaired. Caleb was asked to answer questions by pointing to letters on a poster board. As for Holmes' defense team, they will try to prove that the 27-year-old was suffering from schizophrenia at the time and was unable to tell right from wrong.